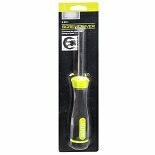 Shop Living Solutions 6-in-1 Screwdriver (1 ea. )1 ea. Every household should have at least a basic toolbox, and a screwdriver is arguably the most important tool you can own. One of the core building blocks of modern construction and manufacturing, the screw is easily loosened and tightened when you have the right type of screwdriver. 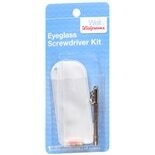 At Walgreens, you can find a wide assortment of these handy tools so that you are always prepared for simple do-it-yourself tasks. Screws, and the screwdrivers used to tighten or loosen them, typically fall into two broad categories: Slotted and Philips. Slotted screws have been around for centuries and feature a straight slot into which the screwdriver can be inserted and turned. In the 1930s, Henry F. Philips discovered that some of the first automated machines had trouble fitting into slotted screws, so he invented screws with a cruciform slot and patented the screwdriver that would fit into these screw heads. 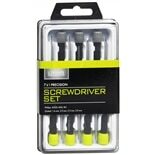 Today, both slotted and Philips screws are commonly used, so it's important to have screwdrivers for each type. Some tools feature only one type of blade while others have interchangeable blades so that the same handle can be used for either type of screw. Beyond simply choosing a certain blade, the process of selecting a screwdriver includes a few other considerations. 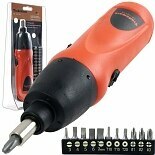 One of the key decisions you'll need to make is whether you prefer a manual screwdriver or an electric tool. Manual screwdrivers are inexpensive and can be used to help you tighten and loosen screws around the house, but their force depends on the torque you can muster with your own hands. Electric screwdrivers, on the other hand, are often preferred for difficult jobs because they have much more power behind them than a person can create manually. 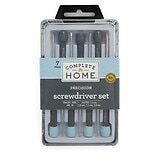 These screwdrivers may also be able to have their bits changed out so that you can use them for drilling or other common building tasks. Another major consideration when choosing a screwdriver is the size of the tool. 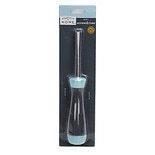 Specialty screwdrivers are available in very small sizes, for example, to help you adjust the petite screws used to hold glasses together. 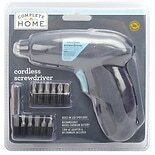 You may also need a screwdriver with a more obscure blade type if the screws you are adjusting don't have standard slotted or Philips heads.